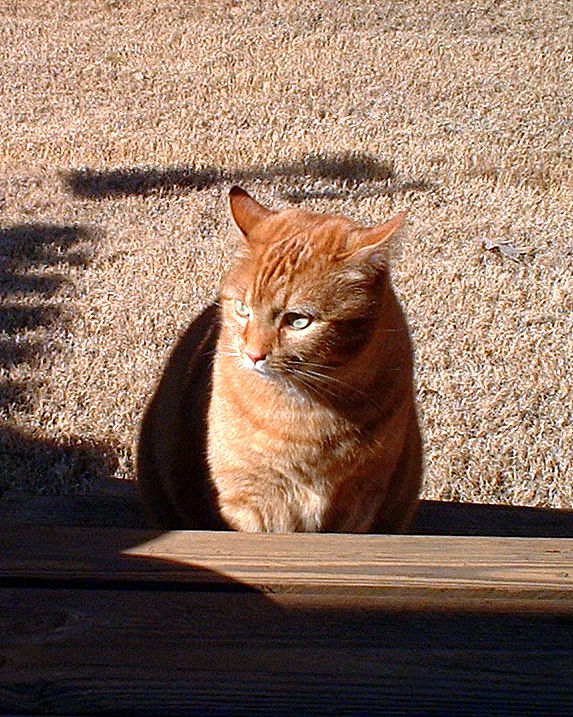 Last Monday night, April 18, 2011, we had to send Marmalade back to the angels. We found out the week before that she had cancer. She had lost a lot of weight and stopped eating. That was a huge red flag since she LOVED to eat. We took her to the vet, and they determined that it wasn't a kidney problem or hyper-thyroidism, but lymphoma. We could have tried chemo, but she was 15 years old and we didn't want her to suffer through that for a few more months with us. I'm not sure I can put into words what Marmalade meant to me, but I will try. She was my best friend, confidant and all around bosom buddy. She was with me every step of the way the past 15 years. We got Marmalade when she was a kitten. From day one, she had a personality like no other. She was sassy, feisty and could be down right mean at times. She did what she wanted, when she wanted. On the flip side, she was also sweet, caring and the most tender hearted cat ever. She always knew when I was sad or upset and would sit with me until I felt better. She loved to be held (when she wanted) and rocked; it was our special time - "Marmy & Me" time. We would sit and hug for 20 minutes at a time. Then she would bite me and let me know she was done! You could pet her head, but not her back. She loved to sit in boxes - she could fit in any box no matter the size. She had an incredibly short tail for being such a big cat. She loved to play with ice cubes. I was the only person who could pick her up. She had more nicknames than anyone I know - Marmy, Lou Lou, Louie, Marm, Stinky, Sweet Marmy, Marm-O, Stinky Marmy, Lou Dog, Lou Lou Belle, Big Girl, Stink, Stink-O, Big Stuff, The Lou - just to name a few. I'm so sorry for your loss! Sending hugs & Prayers to heal your heart! Sending all the best thoughts your way; I personally do understand your loss. Please take some comfort in knowing you made the loving choice for her. Oh, Steph. I'm so sorry ... Marm sounds like our Ellie that we lost to kidney failure and old age almost three years ago. You will be in my prayers! I know Marmalade had a wonderful life with you. Full of love & tasty treats! God Bless Marmalade & you! So sad to hear about Marmalade. I know she will be missed. Our furry friends are our family. I pray you always remember the most wonderful times you have had with your beloved Marmalade and smile! I am so sorry to hear about the loss of your beloved family member and friend, Marmalade. It is hard when they have to go but it sure would be a lonely life without them. I bet Jack and Sherbert miss her too. So sorry to hear about Marmalade. We'll be thinking about you today. I'm so sorry for your loss. I know you loved Marmalade so much and I can't imagine how hard it must have been for you to make the decision to let her go. I'm so sorry for your loss. It's so heartbreaking to lose a pet. Take care. I'm so sorry for your loss. I have 4 cat's (2 orange ones) and it breaks my heart to hear that you've lost one of yours. I really enjoy your Monday pictures so please keep posting them. 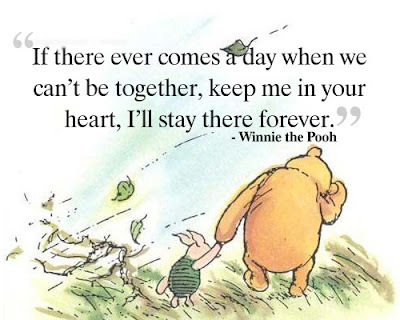 I hope you find comfort that your precious one is in a better place. I'm so sorry for your loss! My heart just breaks for you. I'll be thinking about you. I am so so so sorry for your loss; Marmalade had a wonderful life with you! I love your blog and am a fellow cat-lover; I just had to let you know I am out here sympathizing! So sorry to hear about Marmalade. We'll all miss her little face on the Meow Monday pics. A difficult choice but the right one for the kitty. We feel your sadness ~ all of us cat lovers. So sorry about Marmalade!! I have a cat that just showed up at our house 3 years ago and I have become super attached. I know how much you must miss her! She will always be in your heart. Will miss seeing her every Monday. I'm so sorry to hear about Marmalade! I love your blog and always look forward to Meow Mondays! She will be missed and always in your heart! awww, this made me cry! i've always hated cats, but took in a stray about a year ago and now she's my little baby! i'm crazy about her and she sounds a heck of a lot like marmalade! i'm so sorry you had to lose her! Thank you all for the kind comments. It really means a lot to us. I am so sorry to learn about Marmalade. My Shady was 23 when her kidneys shut down because of diabetes. I've never felt so guilty in my life. She purred until the end and, though I know it was the right thing (she, too, had lost weight and was just skin and bones), I feel like I betrayed her. I can feel your loss as much as I did mine. My thoughts are with you. Prayers for you during this time. Hold strong to your precious memories. Oh Steph, this has made me so sad. I'm so sorry to hear about your sweet Marmalade. I can't blame you for not wanting to see her suffer. It's hard, but we have to do have to make those decisions. I am so sad for you Steph, but it sounds like you did have a long and wonderful friendship together. I really enjoyed reading about her personality, thanks for sharing. It's always hard to lose a beloved animal, the story of the Rainbow Bridge always brings me comfort when I've lost one of my own, so I thought I would share it with you. I hope it brings you a bit of comfort as well. Aww...I'm so sorry. I love your "Meow Mondays" so much (I'm a total catlover). Marmie will be missed so much! I'm so sorry for your loss. Seeing your Meow Mondays always brightens my day! I'm glad you have so many fabulous memories of Marmalade. I have an orange tabby too (Meow Mondays is one of the reasons I've bookmarked your blog!) and I know what sweet cats they can be. I'm so sorry for your loss. oh...no Stephanie. I am so very sorry. Losing a pet is just awful. Just remember Marmalade loved you more than anything. I've always LOVED Meow Monday's.... It's one of the reasons I'm here with you and make your recipes.